The Men’s Group is for our adult male parishioners. Meetings are held Saturday mornings at 7:00 a.m. in Room 207 (Building D, second floor) with fellowship for parish men of all ages. We begin with a spiritual chin-up followed by a Catholic topic and group discussion. We focus on our place in family, church, workplace, and communities as men of God. This is accompanied by coffee and morning snacks. We adjourn promptly at 8:30 a.m.
Come join the Men’s Group as we embark on a study of the centrality of the Eucharist in Catholic life. 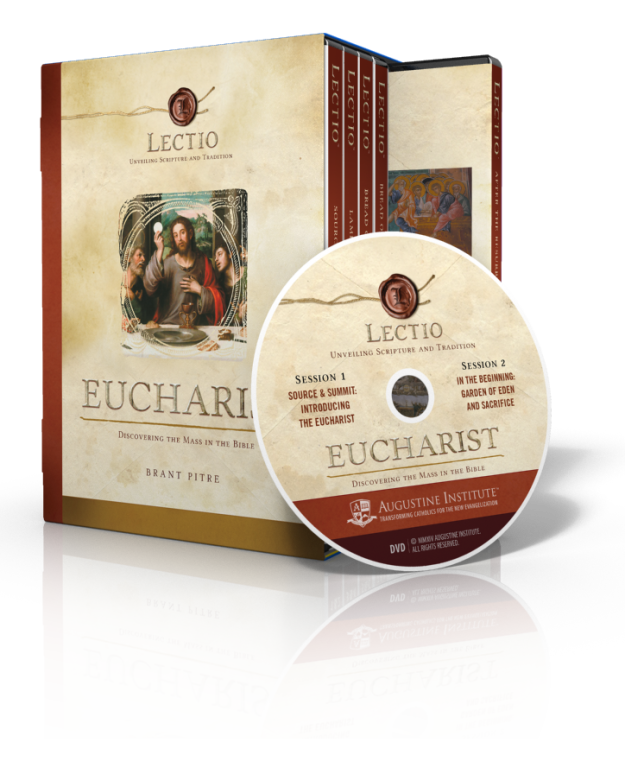 Beginning will present a video series by Dr. Brandt Pitre of the University of Norte Dame entitled Eucharist-- Discovering the Mass in the Bible. These sessions will consist of a viewing of an episode followed by a robust discussion about the video and how it relates to our spiritual journey. Please contact Mike Lerch at micheallerch@gmail.com for more information.